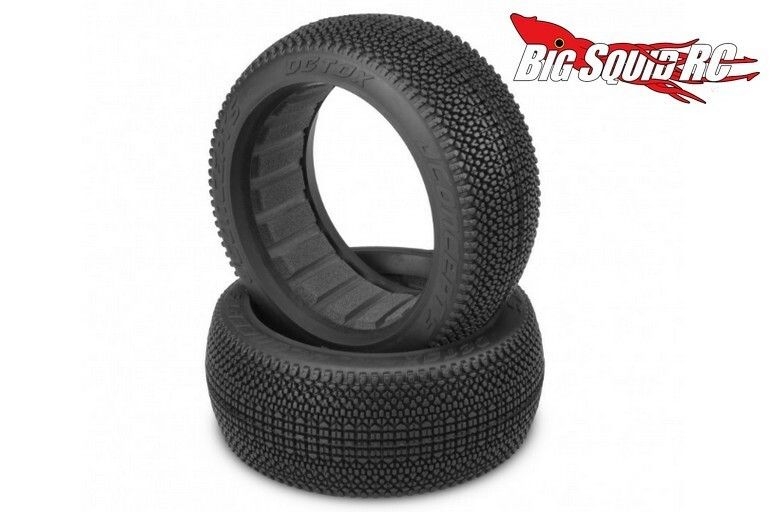 JConcepts Detox 1/8 Buggy Tires « Big Squid RC – RC Car and Truck News, Reviews, Videos, and More! The name of the game with the new mega tread tire from JConcepts, the Detox, is long life. The Detox was designed to last those hour long mains over the roughest conditions you can find. It was also designed to find traction in the dustier conditions found after a track starts to break down. The Detox is available in four different compounds and is also available pre-mounted. Closed cell Dirt-Tech inserts come standard and prices range from $30 to $35 per pair. To get the complete scoop hit up This Link to head over to the official JConcepts website. Click Here to catch up on more JConcepts news on BigSquidRC.